Give your dog a vacation of their own. 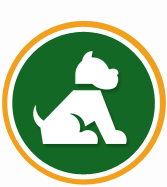 Kountryside Kennel provides boarding for your dogs while you are away. We offer a variety of different services that provide comfort during your pets' visit. With spacious accommodations and lively activities, your dog will have everything he or she needs to have a wonderful time. Your pet's health is important, and we make every effort to ensure your pet's stay with us is simple and stress-free. Before booking a stay and dropping off your pet, please read through this helpful guide. The information herein will ensure your pet is ready to stay with us, as well as prevent any unwelcome surprises come check-in time. Entrust your dog into the caring arms of our pet boarding specialists. While you are away, Kountryside Kennel allows your dogs to play. 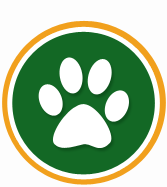 We are a full-service kennel centrally located between Elkhart, Goshen and Nappanee, Indiana, that provides top-notch pet boarding. From one-day stays to total vacations, we have the supplies and facilities to keep your dog happy and healthy. Our rates are competitive and our services are specially tailored to the specific needs of your pet. Since our establishment in 2004, we have made a point to provide totally personalized care. Board with total confidence - we are more than happy to serve you and your dog. As the only kennel at the south end of the county, we serve the needs of residents faithfully. Best of all, we live on site. Our staff is on the premises the entire time. Monday – Thursday: 12:00 p.m. – 5:00 p.m.